Macrophage migration inhibitory factor (MIF), a proinflammatory cytokine, is implicated in many aspects of tumor progression, including cell proliferation, invasion, and angiogenesis. We asked if MIF expression predicts survival and if it is associated with angiogenesis and cell invasion in osteosarcoma. We performed immunohistochemistry for MIF expression in prechemotherapy biopsy specimens of 58 patients with osteosarcoma. To investigate the role of MIF in angiogenesis, microvessel density was measured and compared with MIF expression. We also treated osteosarcoma cell lines (U2-OS and MG63) with MIF and measured vascular endothelial growth factor, a potent proangiogenic factor, by enzyme-linked immunosorbent assay. To study the role of MIF in cell invasion, Boyden chamber assay was performed after knockdown of MIF by short interfering RNA. MIF independently predicted overall survival and metastasis-free survival. MIF expression correlated with microvessel density and induced a dose-dependent increase in vascular endothelial growth factor. Knockdown of MIF by short interfering RNA resulted in decreased cell invasion. These results suggest MIF could serve as a prognostic marker and a potential therapeutic target for osteosarcoma. Level of Evidence: Level II, prognostic study. See the Guidelines for Authors for a complete description of levels of evidence. 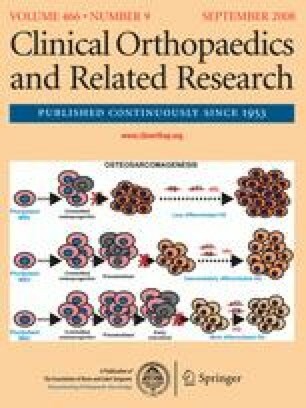 One or more of the authors (JHO, HSK) have received funding from a grant (No 02-2006-020) from the Seoul National University Hospital Research Fund, Korea.